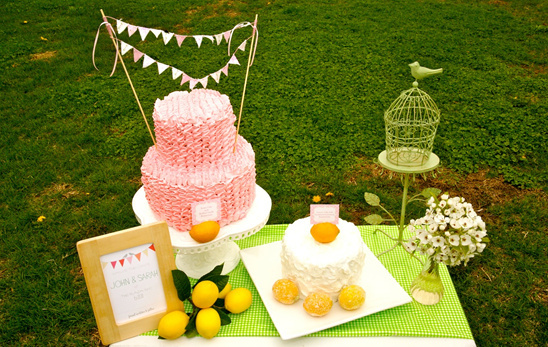 The Hudson Cakery shared with us her lovely desert table! This was set up for a friend's bridal shower who just so happened to use our Free Bunting Download. 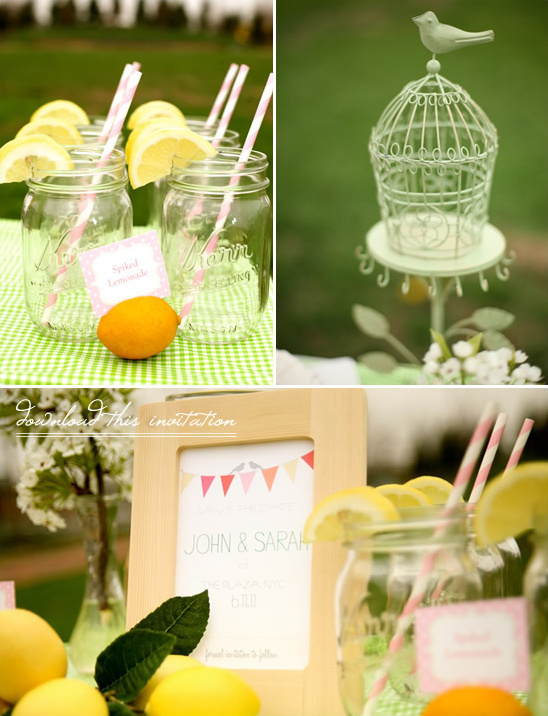 They had spiked lemonade served in mason jars with pink striped straws, homemade marshmallows, mini berry cupcakes, and two cakes with a lemon theme throughout. 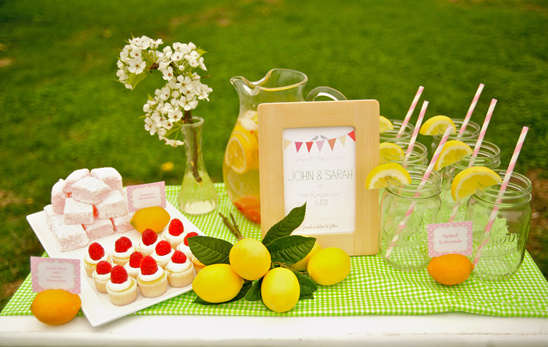 Super cute outdoor bridal party inspiration for you.